The bite is on! Here is Jim M and family of Sea Isle City with a FAT 28.4 pound 43 inch striper taken just inside the Sea Isle Lump this morning trolling a Stretch 25. Hear is Nick and Anthony P of Sea Isle City with a very nice 22.3 pound striper they landed just in front of Avalon on a white umbrella rig. Keep up the good work boys. Went back bay striper fishing yesterday after noon and is was great in 2 hours my buddy and I had 8 fish all where short and all bit on the same color bass assassin. We tried some top water and rattle traps and some other things but they where hammering a slowly jigged bass assassin and only one color. If you like having fun on light tackle get out there we have good tides the next couple of days. Sea Isle Bait and Tackle would like to thank all of the Veterans for there service to the greatest country in the world. The early season tog bite continues to be stellar. Hear is Rhys with a 5pound 11ounce slippery bass from down near Townsends inlet it ate green crab as its last meal. The tournament is officially over. 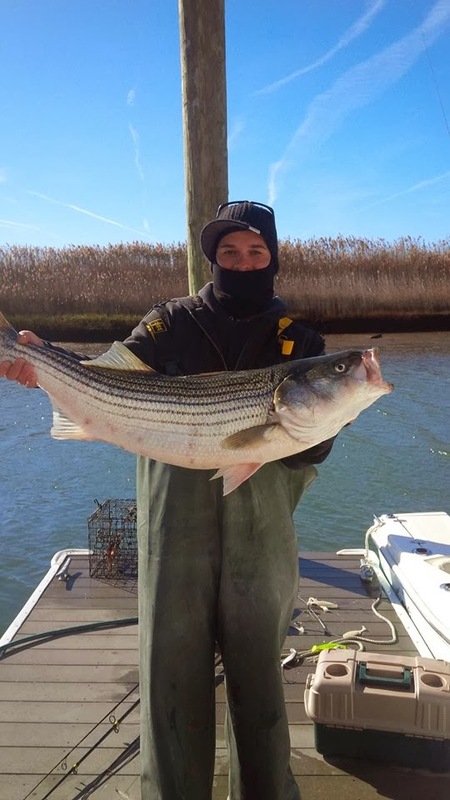 Thanks to all that have helped and donated to the South Jersey Striper Slam Presented by Sea Isle Bait and Tackle. Hopefully better weather and more fish next year. The awards banquet will start at 5pm across the street from the shop at the Sea Isle City community / welcome center hope to see every one there. There will be lots of good raffles including 6 - 1 ½ pound lobsters and $200 towards a custom K M Custom Rods and more. 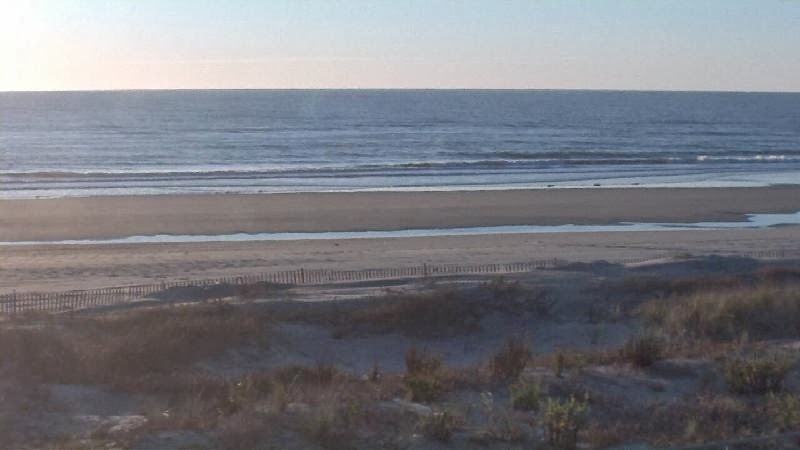 It’s a gorgeous morning in Sea Isle City currently light winds and much warmer then yesterday. 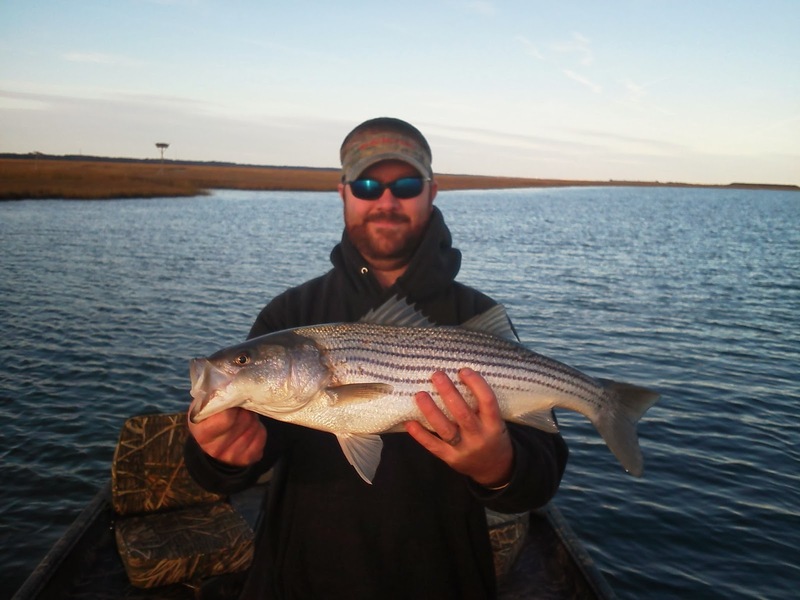 The surf reports from yesterday where kind of slow a couple short bass and red fish. The good news is the fish are on the move it will cut loose any time now. Picture cortices of Sea Isle City Beach Patrol www.sicbp.com/webcam.